It’s taken me a long time to be a fan of coleslaw. Scarred by childhood memories of gloopy overly vinegary stuff from tubs and at the other extreme overly wholesome versions with yoghurt and stale nuts, I’ve always approached the dish with caution. But my husband is a big fan and so I thought ‘how hard can it be’ to make a good version…so I tried. So since then I’ve been using that a a basic structure but playing with the mix depending on what’s to hand, what its to be served and what flavours I fancy. I’m an inveterate recipe fiddler. The mix immediately got the thumbs up and each batch seems to have been more winning than the last. Mix all the vegetables together, add the mayo and coriander and stir in, leave to stand for 30 mins. Pour over the vinegar and stir through. We served it with venison burgers the first evening and with smoked salmon and Peters Yard crispbread for a light lunch. spices/seasoning: mustard is traditional but I like cumin, chilli, coriander, fennel, onion seeds, poppy seeds depending on what I’m serving it with. 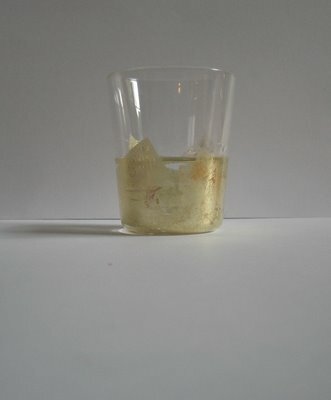 Experiment. 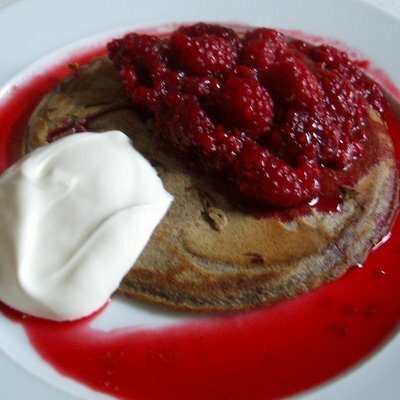 Eating Eurovision: Part 2 Russia – bring on the blini….. They say you should breakfast like a king, lunch like a prince and dine like a pauper. 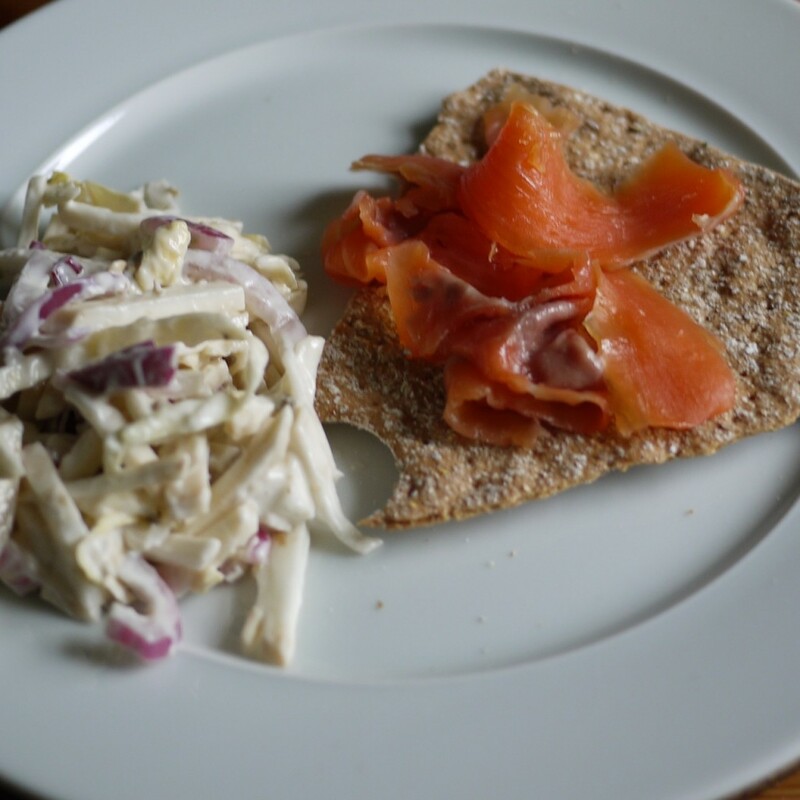 And today I am trying pretty hard….I’ve breakfasted like King Harald V of Norway on brown cheese and flatbrød and now I’m about to lunch like a Tsar (or Roman Abramovich) on blini and vodka. Its all good stuff and in aid of Eating Eurovision (a rather mad project thought up by journalist and food blogger Andrew Webb) – 25 food bloggers eat 25 cuisines within the M25. I got Russia out of the lottery pingpong ball bag and also opted for Norway as an extra. And that is where I came unstuck. I woefully underestimated how long it would take to track stuff down, get it, eat it, write about it. I did Norway first because I thought it would be really hard to find the foods I wanted but actually it wasn’t so bad, finding Russian contacts and leads has proved much much harder. I thought there were lots of Russians in London and maybe there are but I didn’t find any. I found a possible deli in Queensway (Kalinka) but after buying my Norwegian cheese mountain had no time or strength left to get there to check it out. I’d spotted various restaurant options but time was short and I wanted to do some actual cooking. Then I thought of vodka tasting at Potemkin but my friends could not be convinced to leave the grotty surroundings of the pub they had started the evening in to walk less than half a mile, they suggested the nearer Polish bar but that’s Polish so how was that going to help. I bet vodka isn’t just vodka you know, I bet it has hundreds of subtle nuances. Oh and to be fair to my mates by this time it was pouring with rain so we would have got drenched. So having drawn some blanks and having been pointed at blini by fellow Tweeters – I thought lets make blini (and wash them down with a splash of vodka). I was tempted to go to a Lithuanian deli in Leytonstone I’d spotted during internet research for a (very) vague bit of almost authenticity but having seen @hollowlegs tweets about her Lithuanian restaurant eating I decided maybe not. Anyway I needed a recipe first, now I might have hundreds of cookbooks but curiously not one of them is about Russian food. Surfing the web throws up lots of blini recipes and some earlier surreptitious reading of books in Foyles suggested that actually mini blini are okay but the real deal is to have big huge proper pancake size blini – oh yay lunch sorted: big savoury blin (apparently the singular of blini according to wikipedia…hmmm doubtful) followed by big dessert blin. Sorted right? Wrong. By this time it’s already past the deadline to post and I’ve only just decided what I’m doing. Oh dearie dearie me. And there are only two choices in such circumstances: don’t post and FAIL completely or CHEAT. So I cheated. Yes I did what we were not supposed to do I went to Waitrose bought the most Russian looking things possible, came home, cooked, ate and made myself listen to the Russian entry on repeat as penance! 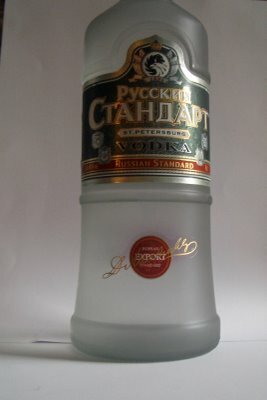 I could have cheated more by pretending the vodka we already had was Russian but I didn’t, maybe that makes it all ok? My blini were good, they were rather thick so could perhaps be classed more as oladi (which are well, big fat blini) and very filling. I did a bit of a cheats recipe (what not more cheating) and followed the recipe on the bag of buckwheat flour using baking powder instead of yeast to get the raised texture but it worked fine. The 100% buckwheat flour makes a very brown looking batter. For the savoury topping I had sour cream, Russian (i.e. 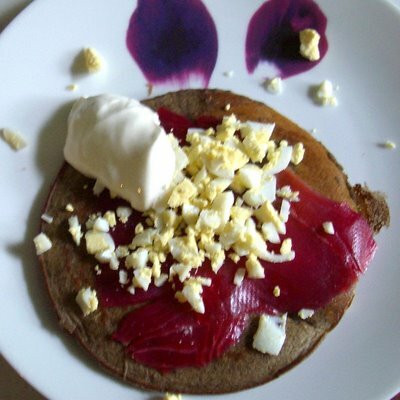 beetroot) cure salmon and chopped quails eggs and for the sweet more sour cream with warm raspberry compote I quickly made from frozen raspberries. Then I had a splash of Russian vodka to finish it all (and me!) off. I am very very full now. I’ve had two hearty cuisines only a few of hours apart – perhaps fine if it was snowing and minus something scary outside but a little much for spring day in London. If I’m lucky it’ll mean I sleep through tonight’s competition and don’t have to watch all those crazy acts again. ‘Tis better to have tried and cheated than to have never tried at all’. Police and protesters; they’re ranged up against each other outside the Bank of England spoiling for a fight about something, anything, important or otherwise. Meanwhile over at ‘Word of Mouth’ (The Guardian’s food blog) the real action is already underway with journalists praising Jamie O’s menu for tonight’s exclusive dinner at No.10 and the posting populace getting very het-up about seasonality, authenticity, diversity and why oh why its Saint Jamie in the limelight again. So lets just try to take a balanced look at things (because I’m sure Gordon and Barack will be aiming for balance today and tomorrow, if not dietary then economically at least). Mr Oliver has apparently been given a brief to create a menu that showcases the best of seasonal British food and cooking including finding things to represent each of the parts of the United Kingdom. Now some of you may think that ‘best’ ‘British’ and ‘food/cooking’ in the same sentence is something of an oxymoron and that St Jamie is a fool to have accepted the gig. But as we know from past form there is nothing like a challenge to get Jamie’s enthusiasm racing away with him and him saying ‘YES’ before anyone has any chance of stopping him. Even the imminent arrival of his third child is not enough to stop Jamie pouncing on this chance. Remember it’s a BIG BIG GIG. So as we proceed through this analysis of the menu lets remember the brief is ‘BEST SEASONAL BRITISH’ cooked for people from 20 different nations with all the restrictions that entails. Because if you were on The Apprentice doing this and you junked the brief straight off Mr Sugar would be firing you right back to where you came from in no time. A quick look in any seasonal cooking book or any of the various online seasonality resources will show you that Jamie is potentially quite restricted in some areas e.g. fruit = pretty much nothing, meat = wild pigeon!. And once he has to factor in a whole range of dietary requirements the options get cut further. So lets just be clear here: the guy has to create something uniquely (and identifiably) British and WOW that fits with a plethora of dietary restrictions and a rather thin set of seasonal choices. So his only option is to get top notch ingredients and try to make them sing. Salmon: in season, very recognisably British, represents Scotland (still part of the UK last time I looked despite the best efforts of may a Scotsman and woman). Obvious choice but shellfish is probably a no no and many might squeal at eel. Seashore Veg: identified on most sites as sea kale and samphire. Well he’s on the mark with sea kale but I’m a bit doubtful about the possibility of samphire – it’s a shade early for that really but he can hardly have had it grown in a poly tunnel so he must know a secret source. I have seen it growing on the mud flats of Maldon fairly early in previous years so its not impossible. And its very British. Broad beans: pretty British, very early so these have got to come from under glass, possibly from somewhere like the Isle of Wight or Channel Islands. And before we all go off on one about producing things early under glass lets just remember that they’ve been doing it since way back in the 1500’s – what do you think they used Chelsea for before they built posh houses and football clubs on it! Herb garden salad: definitely seasonal, not especially British but that will depend on the actual herbs selected and what’s available. Hopefully he’ll have some sorrel or watercress or early spinach in there. Mayonnaise: not reknowned for being particularly British but it is tasty and we could make a slightly weak argument about it allegedly being brought back from Mahon in Minorca after Richelieu defeated the British there in 1756 (bit tenuous though). I think he should have plumped for a dressing made with rapeseed oil and a herb or fruit vinegar. Wild garlic soda bread: wild garlic is definitely in season and grows across much of the UK; and soda bread is found both North and South of the border in Ireland so it fits (regardless of your politics on the UK/Irish matter). Vegetarians: sadly its goats cheese again for them it seems (a stock answer to ‘oh dear how do I cope with the veggie people’) but since good goats cheese is so lovely and a staple of the British food scene these days I’d be happy to opt for this and they get to have the same supporting vegetables. Lamb: of course it is now April! Its a bit early in the season but not impossible to get lamb that’s mature enough – I suspect since its being slow roasted it’ll be close to 1 year old rather than new season. Pretty tough call to find another option when pork and beef are probably both of the menu due to dietary restrictions and everyone would simply roll their eyes if its was chicken being served up. Jersey Royals: if they are ready I say bring them on, fantastic. Asparagus: after the cool winter I’m doubtful this is really in season yet but he must have managed to get its somewhere – I love asparagus so I’m quite jealous. Vegetarians: good to see that the supporting notes are the same as for the meat option, veggies are so often just palmed off with a totally different mushed up irrelevant dish whereas this references back and adds lovage which will be in season. Dessert: oh dear this is where the controversy really warms up. For a start most people say the real thing is Bakewell Pudding and it’s pretty easy to search out bucket loads of supporting evidence for that assertion. But many of the same sources also suggestion that Bakewell Tart is not such the chav newcomer most of us would have and recipes can be traced back at least to the mid 1800s for dishes that are more tart like less pudding and indeed tarts akin to Bakewell have a heritage going back further across most of the UK. So, as long as St J isn’t just opening a pack of Mr Kipling’s then I’m sure things will be okay. Pudding, dessert, whatever you want to call it there must have been lots of options to consider. I think he’s slightly lost the seasonal plot though here as he could have done something interesting with new seasons rhubarb (like the a wonderful dish I tasted at Northcote Manor in Lancashire earlier this year of Rhubarb Carpaccio, Custard Crumble Parfait, Rhubarb Granita which was real wow), even a simple fruit fool would have done the trick I think (and stopped the arguing about tarts and puddings). So overall has he met the brief? Well I’d say he’s well over 90% of the way there with this menu, plus its relatively simple and accessible and crucially for him straightforward to prepare. It’s a meant to be a working dinner not an off the scale gastronomic experience. I can quite imagine that St Jamie will pull it off again and by tomorrow when those who tasted comment we’ll be hearing about how great it was. And if not, well then I’ll eat my words or at the very least some seasonal British food. Think you can do better? Look out for tomorrow’s post to join in the debate and have the chance to create your own G20 menu moment and also find out some useful resources on British food. Up on the Suffolk coast for brisk walks and tasty food this weekend. Love it up here and there is plenty to keep a food addict happy – from great farm shops to favourite restaurants, good beer and excellent fish and chips. Too much to fit into one weekend so we are pretty regular visitors. This weekend we have picked up a lot of goodies at the Friday Street Farm Shop – some to eat now, some to take back home. We always get something by Purely Pesto (who don’t just make pesto) – this time it was some soups for lunches – beetroot and also curried parsnip. They taste great – freshly made, no additives, smooth and creamy but not overbearingly so – plus the beetroot is just a beautiful colour! The portions are a little small for 2 for lunch, more a starter size portion – but still recommended. We also picked up organic eggs from Maple Farm which are currently priced at £1.50 per half dozen – great value and makes you wince at supermarket prices….as well as some shin of beef from Cratfield. We have had various of their cuts before and its always very tender and well flavoured, really demonstrates the difference you get from well reared and properly hung meat. That’s just a few of the highlights from this weekends haul. After a bracing walk along the seafront to Thorpeness and back to the Martello Tower we decided to brave the cold again and have a couple of Adnams beers (and a quick blast of 12 bar blues from the Smokin‘ Hogs) at The White Hart before going to eat at Regatta – one our ‘regular’ choices when we visit Aldeburgh. They seem to have the ability to fit you in for dinner no matter how busy they are – you might have to be prepared to eat quite late (9pm) but they will almost certainly find you a slot. 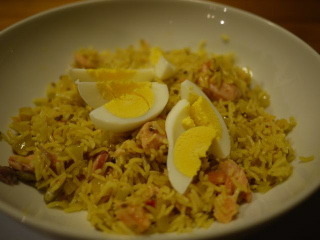 The place is always lively, the service very friendly and the food consistently good. There is always a strong specials board which, as you might expect on the coast, has a particular focus on local fish and seafood. I went for the French style country pate with prune and onion chutney followed by the quartet of smoked and cured seafood – both from the regular menu. Both portions were generous and with bread, salad and new potatoes alongside I failed at the final hurdle on the fishy platter and had to leave a few smoked prawns – perhaps next time I’ll opt for the smaller portion size. The pate had just the right coarse chunky texture you want from a country type pate with the prune and onion chutney complementing it well, rich yet tangy and good enough to make we want to look out a recipe for something similar. I should confess here that oniony chutneys and marmalades are a particular weakness of mine and I regularly spend days bubbling up batches of onion delights with which to win friends and influence people so it was pretty inevitable that I was going to like this dish. The smokey and cured platter consisted of gravadlax, smoked salmon, brandon rost (hot smoked salmon) and smoked prawns – each with their own appropriate garnish/sauce. All were of a very high standard and all are cured or smoked at the restaurant – you will also find you can source similar local delights at various farm shops and delis in this part of Suffolk (the village of Orford being particularly well known for smoked products). Last night the gravadlax was on especially top form, nice thick slices, lightly cured but with a refreshing amount of dill and a spot on mustard sauce to accompany it (sharp but not overpowering). I was rather sad not to be able to finish the prawns as their rich smokiness was going very well with the Californian red wine we were trying for the first time (J Lohr Wildflower Valdiguie 2007) – a pairing to remember for another visit. My other half had the gravadlax to start (and was similarly impressed) with braised lamb shank on a bed of swede puree to follow (from the specials board). Again portions were generous and although a man of few words when eating he was suitably impressed leaving not a scrap on his plate. Overall another very enjoyable meal at Regatta. Right time to go and search for onion and prune chutney recipes.